When you need towing services, you need them immediately. Instead of waiting hours for a tow truck that might not even be equipped to haul your heavy vehicle, contact Point Pleasant Towing. Whether you need to tow your two-door car or your industrial flatbed, count on Point Pleasant Towing to get the job done promptly. Call today to learn more about our towing services. Our towing company is based in Brick, NJ, but we also offer long-distance towing. No matter where your car breaks down, count on us to tow you to a reputable mechanic. Stuck on the side of the road in your camper or commercial van? We'll be there to help in no time. We can tow and provide roadside assistance to any vehicle up to 75,000 pounds. Learn about our trailer, industrial flatbed and equipment transportation services now. All of our drivers are fully licensed, trained and certified in the state of New Jersey. We can tow anything up to 75,000 pounds, from your small sedan to your industrial-grade equipment. Our towing company is the second-largest AAA emergency services provider in New Jersey, and we offer 24/7 roadside assistance. Great great great. Driver was awesome! Awesome tow company!! I definitely recommend. I used them through AAA. They were there within 1 hour! The driver explained everything and was very nice! Great first experience with a tow! Picked up dropped off snowblower done in one day very fair price highly recommend.  Copyright © 2019 Point Pleasant Towing, all rights reserved.